What to do with junk mail? The person who sent this information is a computer engineer who spends a lot of time deleting spam their clients and listens to their complaints of their low speed devices. Not every forwarded message is bad, but read this message in the last line. It will not hurt it. Whenever you read "send this message to ten (or other number) people", "sign this petition", "will follow you bad luck" or "something funny you appear on the screen when transferring mail," etc. you can assume that this report contains a cookie that will monitor your mail and e-mail people who send us a message. Author receives a copy of the original message every time this message forwards. These copies will enable him to create a mailing list, which can then send junk mail (spam), or it may sell the list to those who deal with sending spam. Be careful to messages that tell you that if you do not send it, you will not have the love of God, Jesus, etc. There are reports that humbly crave your sympathy. Do not be scared and do not let break!! Such persons regardless of the method of getting to your email address. Sooner or later it receives. And the letters that speak of lost children or terminally ill ("How would you feel if it was your child") or abandoned domestic pets also čmuchají in your post. Ignore them and come nigh to their game!! Almost all the letters that I ask you to join his address and sent them away to their contact addresses system "plane". (Years ago, it was a postcard game, once had to send a postcard to the last address to send your request on to ten addresses. Within a week you have to pay back millions of postcards from around the world.) In this way, the shipper gets this message to a large number of addresses that used for their own use. You can greatly serve your relatives and friends if they zašleš this information. Posloužíš so that you can no longer receiving junk mail. 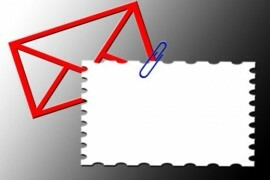 Do not your e-mail address on this kind of mail, although it will seem attractive or if they will impose a feeling of guilt when you connect. All they want is to get your email address. You may have the impression that účastníš good things. But it is not certain. However, you can get oodles of spam, which can come with a virus. Besides helping even those who send spam for their own enrichment. Nezjednodušuj them their job. Furthermore: petition sent by electronic mail are ineffective, because it is not receiving any government agency, insurance company, etc. To be acceptable, any petition must have the signatures verified and complete address of the person signing it, so it's really for you just a waste of time and help only to those who čmuchají in electronic mail. Tactics for dealing with nabízeči goods and services over the phone. The words are: "Hold on, please ..."
If you say it and let the phone instead of lying to get it just hung up the phone call every dealer will be too long for him, and these vendors will have to find other methods of its sales. After a while, you hear the beep, hang up your counterpart and his mission is over. You'll have peace. Have you ever experienced the nasty calls when no one says anything? In this case, the calling machine which records the time when answering. This way you nabízeč the phone detects the best time, when you're at home, then you will take personally to you "zmasíroval". What can you do when you hang up the phone after you realize that it was such a call? Press the # key phone 6 or 7 times as quickly as possible. It baffles machine that monitors your number and delete them from the list. Get a menu on your phone number or any other account (for example, e-mail address), we will forward this offer back immediately, if you're in the mode that you do not pay for it (your fee). Donut so companies that offer those sent to them had to delete themselves. Get the offer by mail, throw away her unanswered. Most of them reply envelope that does not require you to sign for a response. Companies that send you these offers, such consignments worth more than the regular mail. If such an offer throw in the trash, the company that nothing will happen. Force them to pay their mail. Moreover, you can fill another reply envelope spam, you just got. Whether paying for reply envelope as much as possible!! If you want to remain anonymous, check whether your answer does not appear in your name, address, or anything else, how would you be able to identify. Also, they can send back the empty envelope and put them in doubt about who they sent the envelope. Either way they will have to pay postage. These companies receive a lot of your mail back to us as we send spam. But we need to flood the answers. Whether you will also get a dose of "his medicine" either feel firsthand what it is to receive junk mail. They are not receiving these messages must pay! Donut is, whether they are forced to deal with answers and lock them the advantage which gives them e-mail. This will work even more, the more people will do this. I myself have been doing it for a long time (it says the author of the article) and getting less and less spam. Both normal and electronic. This is the only e-mail that you should send to your friends, but lay up addresses to the "Copy" from the text, erase all previous addresses. Dairy products and saturated fats? We know the truth! How to prevent spring fatigue? The desert in Prague Zoo come spring! It does not come up! Even if you wanted ..